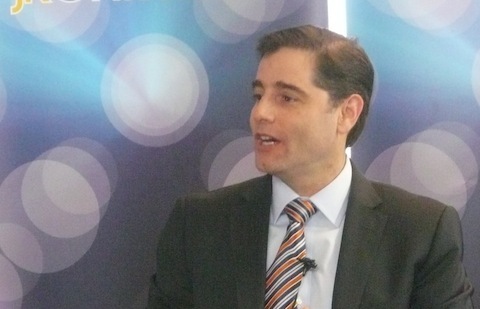 Federal Communications Commission Chairman Julius Genachowski reiterated his acceptance of broadband data caps and tiered pricing, at The Cable Show held today in Boston. In an interview with the National Cable and Telecommunications Association Chair (and a former FCC chairman himself) Michael Powell, Genachowski said he was in favor of business model innovation. A bigger question is whether or not he agrees to practices that would exempt an ISP’s traffic from their own broadband cap, as Comcast is doing with its Xfinity service over the Xbox. And from a consumer point of view, a cap isn’t terrible in and of itself, but it can be a tool used to protect an ISP’s pay TV business or their profits absent robust competition in the market. So even though Genachowski is in favor of new pricing models for broadband, it would be awesome if he started asking questions about how those caps are set and what impact they have on consumer behavior. Because it’s not like consumers have that much choice in their broadband provider. In addition to addressing caps/cap exemption, it would be great if he’d take Comcast to task on their horrible peering. Read the Open Internet Report and Order, esp. the part about “managed services.” That’s JG’s opinion.